I like the ring very much but I was hoping it was solid meaning behind the skull is empty, other than that it’s a very good looking piece of juelrey! Crown yourself king for the day whenever you rock this edgy Skull Statement ring. The intricately detailed skull with black spinel gemstones and gold chain embellishments helps you reach a new fashion height. 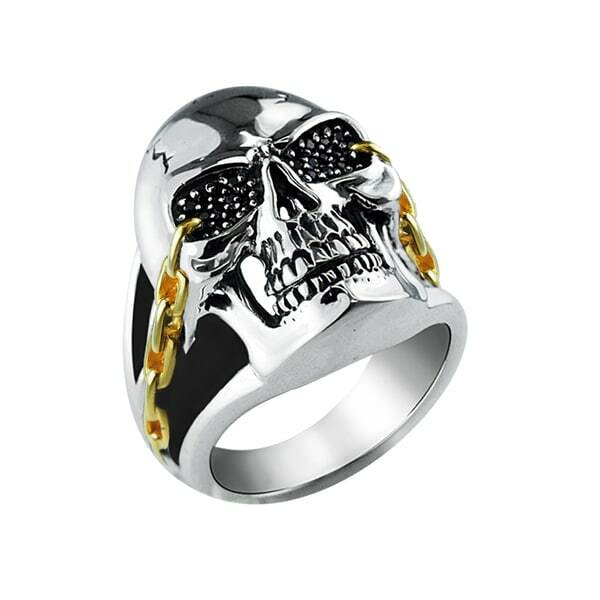 Perfect for bikers or people who like skulls/gothic rings. All measurements are approximate and may vary slightly from the listed dimensions. Treatment code N for main stone. See Treatment Guide for all treatment code information. i love it,ithink its beautiful, and its got class.